Fitness First is the largest privately owned health club group in the world. It consists of more than 360 Fitness First clubs worldwide reaching just over 900,000 members in 16 countries including in Indonesia. 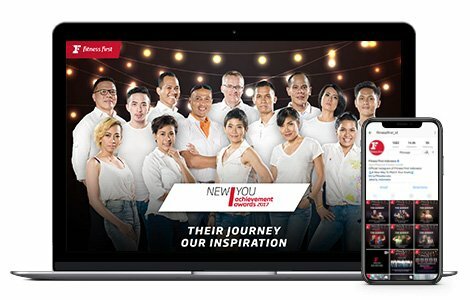 seeing the highly interest of Indonesian public today about healthy lifestyle in many digital content, Fitness First do not want to miss this big opportunity. So their came to Next Digital Indonesia and giving trust to us to help them reaching this gold opportunity! We all know, Indonesia public getting more aware about healthy lifestyle. But what actually their looking for with healthy lifestyle? Based on that question, we start to do some deep research to figure it out, what Indonesia public really want for their healthy life by tracking Indonesia public top searches of any ?healthy? keyword in Google, and also other sources. And the result is, we found that Indonesia people not only want to be health but also want to looks younger with healthy lifestyle they do. So we try to create some formula to combine this health purpose, and Indonesia public behavior in digital to encourage more people come to Fitness First. Through the research we do, our team start to build a creative and unique digital campaign to make people feel more younger called ?Happy Fitness Birthday? prank. This campaign also combined with BioScore Test, which is an assesment to tell people how old them are biologically in comparison with their actual age. With these combination, our objective is to drive new leads for registration as Fitness First?s member. Based on their target market, we also do placement for social media ads, youtube ads, Google Display Network, and Search Engine Marketing, to increase awareness about the digital campaign we created and also for Fitness First company itself. And finally, to generate more qualty leads, we choose Facebook as the biggest social media platform right now.